You are a parent of a teen or young adult looking for the right coach to inspire, encourage, and support your young one so they can tap their potential, be more engaged, and create a life they love! Do you have a young adult (18-26) who’s currently leading a disengaged life? And have you tried helping but find them closed off to hearing your advice? It's almost a given that teens will resist anything the parent offers. When given the right kind of support, tools, and inspiration and are allowed to fully explore who they are and what they love - that's when the magic happens. Imagine your young one focused, engaged, productive, happy - no matter what challenges they face! I've been coaching for over 20 years and stand ready to make a difference in your young one's life! When I coach, I bring "the all of me" to the table, including my intense passion for life (in spite of rather incredible challenges), my diverse background in personal growth, music, engineering, online business development, along with my love of inventing gadgets, painting and drawing, and getting out into nature, skiing, and kite surfing. Check out my site for details and then give me a call, and we'll talk about your young one and what you'd love to see happen for them. Have you worked with Carl? Tell your friends! LIVING YOUR PASSION TALK - Sara and I chatted about all of the speakers today at the International Day of Happiness, and you were the best. LIFE & BUSINESS COACHING - I just had a fantastic coaching session with Carl Contino. I've been stuck on the next step in the visual journaling + coaching business I'm creating. With his help, we worked on a challenge that will help me bust through the block I've been facing for way too long now. I'm super excited and getting right to work so I can introduce it to the world. FLOW & MINDSET COACHING - Thank you so very much for your time, passion, energy and genius. My connections and synapses are firing again and moving forward again with a clear mind and direction. LIFE & BUSINESS COACHING - Talk about amazing! A fabulous mixture of conversation, coaching, visioning, challenge, training, sharing ..... truly inspirational. "How am I being a conduit for ...."
LIFE AS A WAVE BOOK - I have just read your amazing ebook, Life as a Wave. PEAK PERFORMANCE COACHING - I've been working with Carl for just about a month and already see a tremendous value in his service. It's truly performance coaching at it's best. So much to learn and, most importantly, apply to my life to experience transformation. 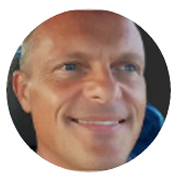 HEALTH & BUSINESS COACHING - I just got off a two hour coaching conversation with Carl Contino, The Groove Coach. To say we had a blast would be an understatement! Besides the amazing energy, flow, and talking that went on between us, I have to say that Carl was masterful at reminding me of my Awesomeness! One of the last things I said to Carl, and maybe I even said it twice was, "You've got the goods, man!" If you want a coach who will meet you where you are, explore lots of possibilities for shifting energy and thoughts, Carl can get you to where you want to be! LIFE & BUSINESS COACHING - Last night I was lucky enough to have a two hour coaching conversation with Carl Contino. It was the end of a long day and I was tired, but Carl managed to energize me within moments of meeting. Within our conversation Carl gently prompted me to acknowledge just how much I already offer to the world. I was also reminded to take a step back from trying and trust in the flow. Carl also helped me to envision how I want my business, and my life, to move forward over the next year - now, rather than feeling muddled, I have clarity, and feel inspired and excited. It was awesome to meet such a wonderful soul and learn more about Carl's work and philosophy of Life as a Wave. FLOW & MINDSET WEBINAR - Hi Carl, I just saw the recording of your presentation yesterday. I was so impressed with your ideas that I invited my partner to see it also ... so I watched it again with her. Excellent thoughts and your presentation was just great! I have signed up for your news letter and looking forward to more with and from you. LIFE AS A WAVE WEBINAR - I just watched your Life as a Wave webcast, Carl. It was really great! Watch the mind like a movie, say yes to whatever is going on, add some fun, don't allow the mind to feed the drama, don't take it so seriously - all help to create a more positive energy that leads to new resources and helps you tackle whatever you're facing. I think that I really got that at the deepest level. Thanks a lot Carl for that! LIFE & BUSINESS COACHING - I had the pleasure of receiving one of Carl's 2 hour coaching sessions yesterday and it was fantastic!! I enjoyed his insight, his honesty and his determination to include play as an integral part of his coaching strategy. I am so glad that he has decided to share his talents not only with adults but with the younger folks who so desperately need to know that they are not alone! Thanks for the inspiration Carl !! So nice to talk with a man of such integrity and openness!! LIFE & BUSINESS COACHING - I don't usually do this - but I signed up and today was our call. With no expectations I called in, we enjoyed a wonderful time getting to know each other. He's terrific! By the end of our time together he gave me a fast, easy technique to shift thoughts that don't serve me. I intend to put it to work immediately to quell a big fear I've had for awhile - so I can focus on living life with renewed passion and fun. Carl, thanks for your valuable time and for tapping into a little of my untapped genius. LIFE & BUSINESS COACHING - I just got off the phone from a 2-hour conversation with Carl Contino - WOW! The dynamic? Easy and smooth with many moments of laughter. The richness and experience Carl offers? Twenty years plus! The insights that I'm integrating now? A WHOLE BOAT-LOAD! My big AH-HA moment was realizing that I was not FEELING the value of my work. I could intellectualize the value and yet not feel it in the depths of my bones. By the end of the call, he led an exercise that allowed me to FEEL my value. Now, I'm more excited than ever to create. To create from a place of value. TEEN & YOUNG ADULT COACHING - The moment you meet Carl, the passion and enthusiasm for his work is undeniable. Carl’s coaching methods include practical, interactive and fun approaches to handling real life challenges. He has been a mentor, a coach, a supporter and a friend to our son who continues to grow and develop in his social interactions and personal connections. HEALTH & PERFORMANCE COACHING - Carl, you need to know what a huge impact you had on my life when we were roommates in music school, I lost 70 lbs (!) in 12 weeks because of what you showed me. And you taught me how to live my life ... you told me things that I'll never forget. And Jimmy ... remember him barging in and doing push-ups in front of the tv? How he put down the booze, lost weight, and got those huge shoulders?! I often speak of those days you helped us both out, coming up with a nutrition plan, working out together, coaching us on life and how to live it to the max. You did all that...you, my friend. You need to tell your story, guy. The world needs to hear what you have to say, so don't be so damn modest about it! PERSONAL GROWTH COACHING - I personally could write a dissertation about the ways I enjoyed your presentation ... nothing but inspirational. In fact it was just right for me considering what I needed that day. I could go on and on really, and I will at some point. For now I will say this: I think you have a knack for articulating ideas. And you have great ideas...ideas people need to hear. LIFE & CREATIVITY COACHING - Carl has created one of the most original and invigorating frameworks for enjoying creative freedom in even the simplest and most mundane parts of everyday life. It's a simple and achievable way to engage in courageous living. If it's true that everything that we do is motivated by either our hopes or our fears, then Carl's created a way to act on our hopes without being distracted by our fears. In my career as a filmmaker, there are countless risks that I have to take. I turn to Carl's methods on a daily basis to help me make those choices with courage and conviction. He's helped to give me a creative freedom that I might not otherwise have claimed as my artistic right.